Massachusetts Business Leaders Initiate Repeal of Sales Tax on Computer and Software Services | TaxConnections is a where to find leading tax experts and tax resources worldwide. H.B. 3535 has created quite a buzz around Massachusetts, as businesses scramble to understand and properly apply sales and use tax to computer system design services and the modification, integration, enhancement, installation, or configuration of standardized software. As of August 9, 2013, the Massachusetts Department of Revenue publication Frequently Asked Questions: The New Computer and Software Services Tax Effective 7/31/13 had ballooned to fifty five questions, as the department continues to add new questions submitted by taxpayers. The Massachusetts Department of Revenue released on July 25, 2013, a Technical Information Release (TIR) 13-10, Sales and Use Tax on Computer and Software Services Law Changes Effective July 31, 2013. Then, on August 20, 2013, a working draft of a Technical Information Release was distributed asking for practitioner commentary through September 6, 2013. The new TIR will supplement TIR 13-10 and the previously released FAQ’s. On the same day sales and use tax on these various computer services became effective, the Massachusetts Legislature passed Senate Bill 175 that authorized a sales tax holiday for August 10 and 11, 2013 for non-business sales costing $2,500 or less (with some exclusions). 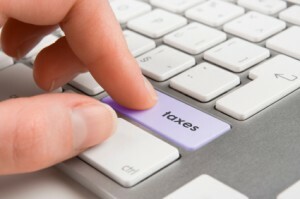 The sales tax holiday did not apply to computer system design services and the modification, integration, enhancement, installation, or configuration of standardized software. Senate Bill 175 was signed into law August 2, 2013.